Following hot on the heels of the launch of Hits Radio, Bauer Media is set to launch another national radio brand – Greatest Hits Radio. Greatest Hits Radio will engage an audience who are loving life more than ever before, and this new launch perfectly complements its sister national radio station ‘Hits Radio’, both stations will sit within the Hits Radio Network. The station will play the biggest songs of the '70s, '80s and '90s, listeners will discover an upbeat, authentic, fun and entertaining format where ‘Good Times Sound Like This’. Celebrating music from artists like Blondie, Queen, Madonna, Fleetwood Mac, INXS, Elton John and Michael Jackson. Greatest Hits Radio will be available on national DAB, FM in the West Midlands and Liverpool, AM, online, and on mobile devices. Advertisers will be able to access this valuable and scaled audience nationally, regionally or locally. 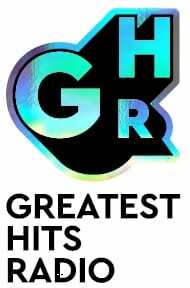 Greatest Hits Radio launches on January 7 2019.